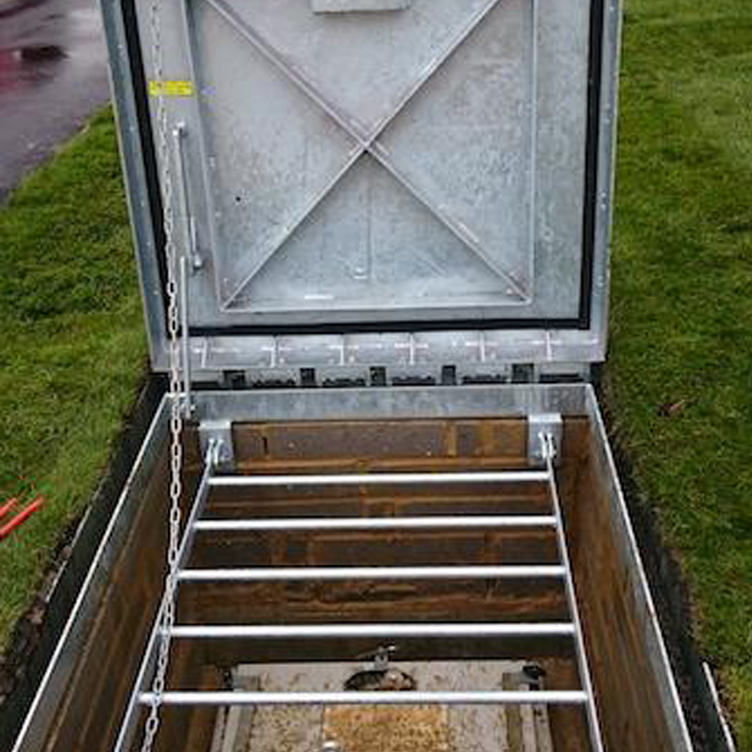 Hartons can supply manhole covers to suit the access and valve chambers on your Pod. 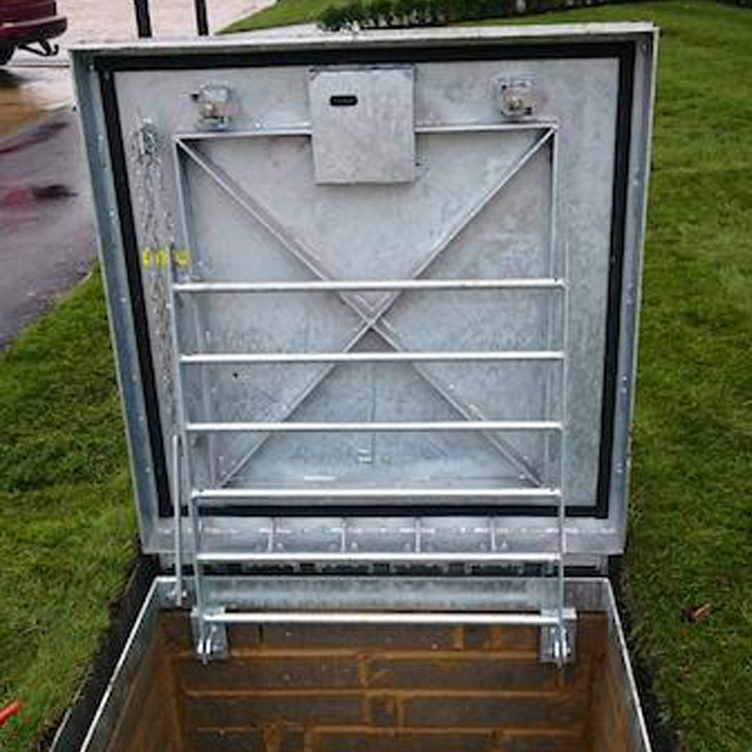 All covers are manufactured in mild steel and galvanised to BS EN ISO 1461. 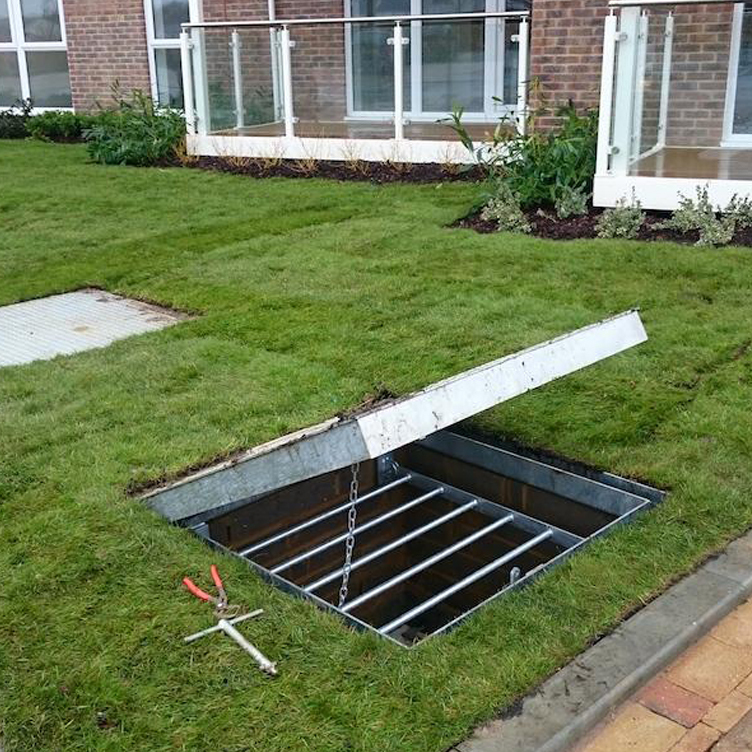 Covers are one piece with hidden hinges, spring assist lift and safety stay bar as standard and can be raised by one man. They can also be supplied with a hinged recessed hasp and staple locking box to receive a padlock and hinged ladder style safety grid. Covers come in three loadings 0.5 tonne, 1.5 tonne and 6.5 tonne, we can also offer special covers to customers requirements. 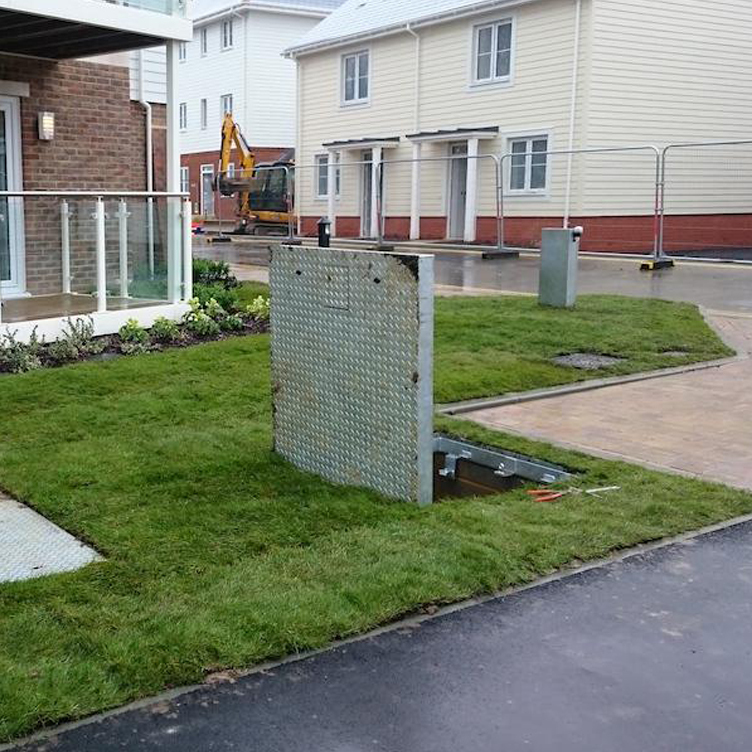 All covers are bespoke and manufactured for Harton by Durey Castings.